Elon Musk, the genius behind Tesla, SpaceX, Hyperloop and The Boring Company, is well known for being a bit eccentric, in a good way. Now he’s taken that to the next level by making and selling a flamethrower. Musk, who is working on helping colonise Mars, is busy on earth digging holes. The idea being that his Boring Company will create tunnels which allow people to travel at high speed, alleviating traffic and speeding up transit on earth, and helping avoid radiation when living underground on Mars. He also sells a flamethrower. What’s the link? The link is pretty much non existent. Musk started selling hats for The Boring Company for a laugh – pretending that would pay to run it. Then, as a joke, he tweeted that when they sell out he’d begin selling flamethrowers. 50,000 hat sales (aka $1 million) later and he’s actually followed through. 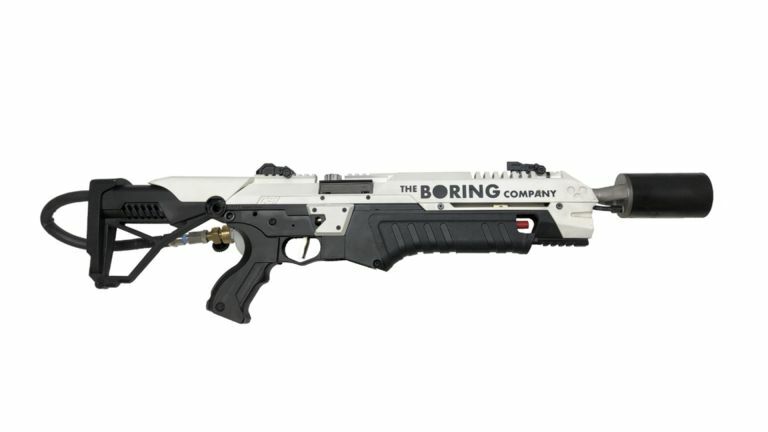 The Flamethrower will be shipped outside of the US, from spring time, but you’ll need to pay any important taxes on that, the website warns. Totally worth it, right? Here’s Elon having some scary fun with the flamethrower in action.